The design on this hoodie is a line graphic of a dog's head with the words “Service Dog” as the collar. There is a white medical cross above it. Down the left arm is the text “Service Dog”. 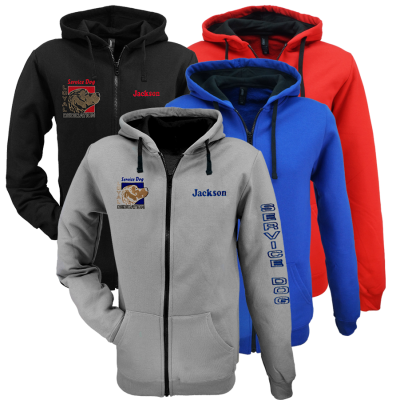 We have digitalized other great photos of dogs in the Service Dog and Therapy Dog field that can be used with this hoodie.